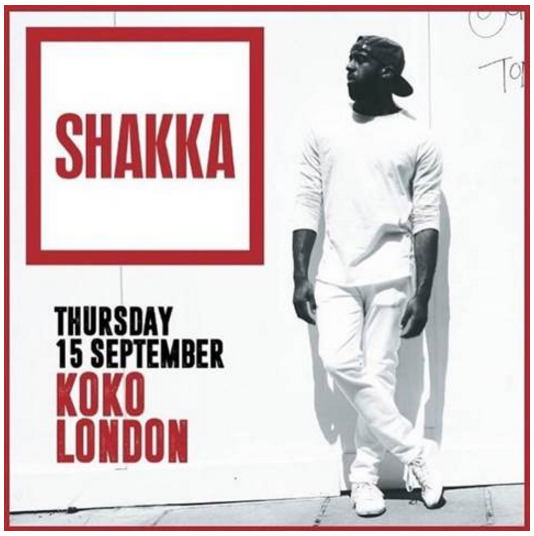 After releasing his 2015 conceptual EP The Lost Boys, performing at and winning a MOBO for Best RnB/Soul Act, Shakka announces his headline show at KOKO Camden on September 15th as well as his regional shows. After dominating shows all throughout festival season, The Great Escape and Wireless Festival were standout performances of the season, with Shakka packing out TGE venue and Wireless’ Pepsi Max Tent and not forgetting a demanded second performance set at Fresh Island Festival in Croatia. Bringing his unparalleled soulful energy and upbeat performance to festivals all over the UK & Europe, Shakka now focuses in on his headline show in September.